I-Trac is a state-of-the-art heavy-duty access system that features excellent turf protection and enables vehicle and equipment traffic over otherwise impassable or unsafe ground. I-Trac is a composite interlocking panel system that creates a contiguous surface capable of dealing with all road going vehicles and extreme static loadings. MATRIX™ is a fast deploy panel system offering medium to heavy-duty access. 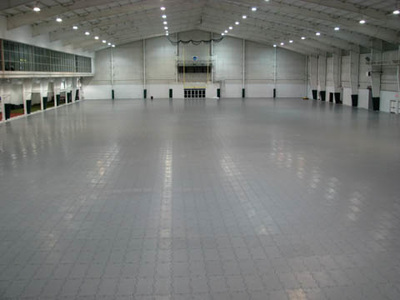 You can deliver 14,000 square feet (1300 square meters) per truck. Use it as a roadway for vehicles and heavy equipment on most terrain including heavy equipment on unprepared ground. The MATRIX™“Elastomer” joint minimizes stress between panels. The tongue-in-groove system is designed to transfer weight from one panel to the next. The (optional) solid bottom will keep the surface from bedding into soft ground. A Portable Roadway Enthusiast (like us!) will appreciate the organic nature of the MATRIX™ system. The interaction of panels, joints and heavy equipment is amazing. 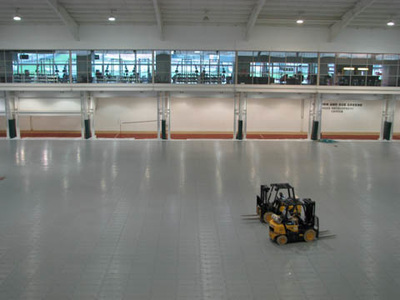 All materials serve a purpose for the job at hand whether it includes undulating ground, thermal expansion or extreme forces that are sure to happen all the time. Stress on a static joint will build and then break. Stress on our “Elastomer” joint will release pressure as the joint stretches and moves as required. Like all InField products, MATRIX™ was engineered for fast and easy deployment. Our standards for deployment and recovery are for unskilled and inexperienced labor to reach max speed within one hour (with one supervisor). 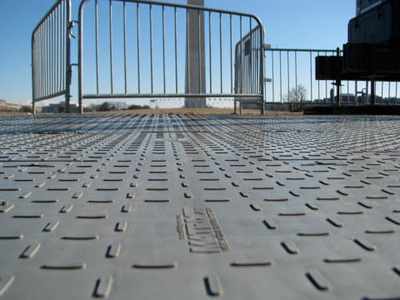 The MATRIX™ System is truly portable to allow for efficient temporary roadway use without leaving a footprint when your production is complete.